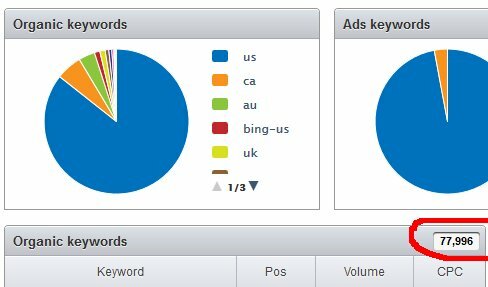 On the first inspection SemRush may look like a good keyword research tool but it’s actually more than that. 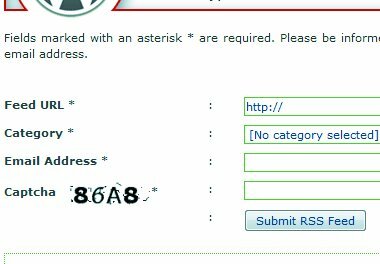 I recently wrote a piece on how to use SemRush to find obscure websites for fun. But I keep discovering more and more ways to make this software useful. This short tip is for webmasters who operate an ecommerce site or sell services online. If you’re running an in-house affiliate system, you’ll know how difficult it is to find and recruit new affiliates. Yes, you can write advanced search queries and find relevant sites on search engines, you can use Hitwise to find who’s sending traffic to your competitors but there’s another very effective way to find potential ad publishers and affiliates. Take a look at the screenshot. The first step is to look at your niche and identify a dozen or so large websites who participate in Adwords content network (not just search network). 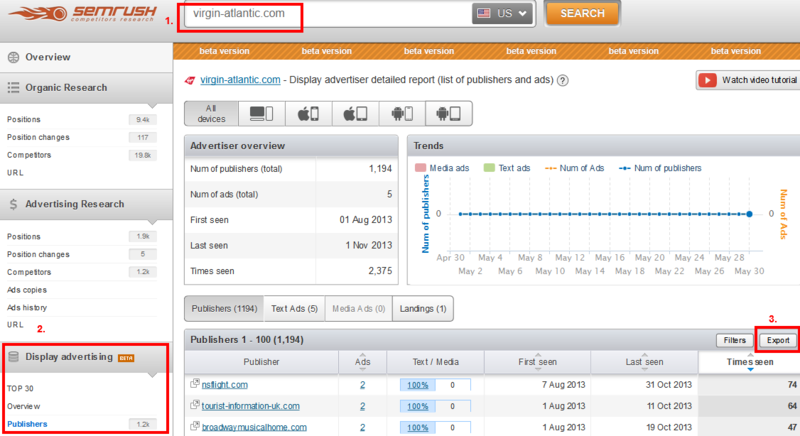 Then look them up one by one on SemRush (a) and click on Display Advertising -> Publishers on the left-hand panel. This will reveal a list of websites who are known to run Adsense ads for this particular competitor. Now export the report. Finally collate reports for all the big sites you’ve identified, save them in one big Excel spreadsheet and hire somebody on oDesk or PeoplePerHour to remove weak publishers and gather contact details for the good ones. Now all you have to do is reach out to the potential publishers and tell them why they should apply for your affiliate scheme. What do you think about this tip? Please share your thoughts in the comments section.